Saunders & Lingard - News- Are you keeping your eyes peeled? Are you keeping your eyes peeled? 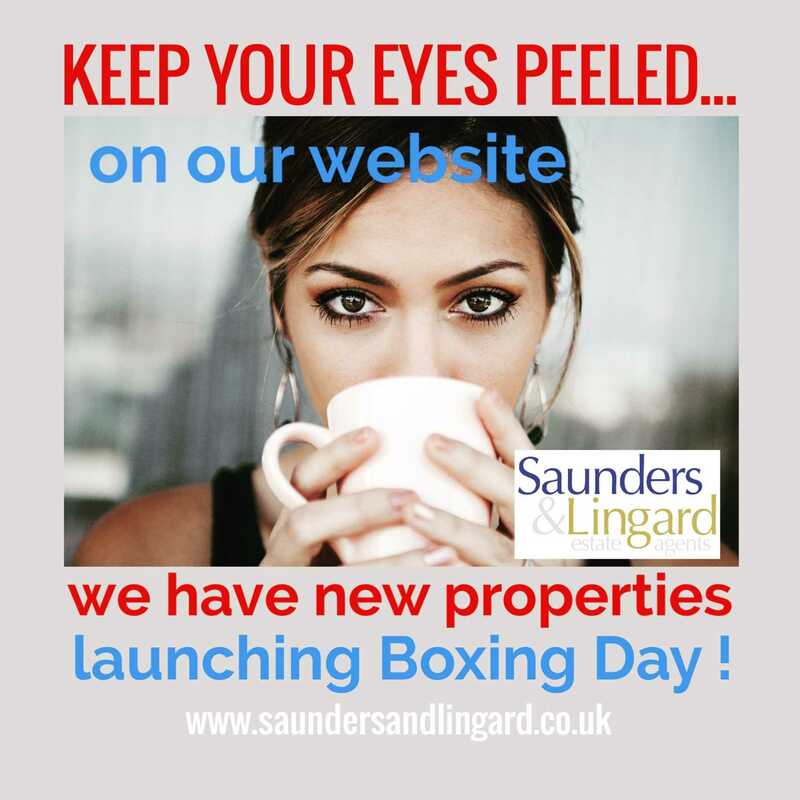 If you are looking for your next home, then we at Saunders & Lingard may have just the right one ready and waiting for you right after Christmas! Or perhaps you`re after a brand new home for your New Year? Our directors have been busy sorting out the pictures and details for a host of homes that will be coming new to the market from Boxing Day onwards, and amongst them we have everything from two bedroom apartments to three bedroom houses, including several `chain free` properties. Situated from Teignmouth and Torquay to Paignton and Brixham, these properties are too good to miss so keep checking the new listings on our website or set up your alerts on Rightmove, Zoopla and On The Market to help you with your property search. Don`t forget you can register yourself here on our website too, and if you are thinking about selling your existing property and wish to know its current true value, then we will be delighted to come and give you a free valuation, anywhere across Torbay and Teignbridge. Just give us a call in either our Newton Abbot office on 01626 240229 or our Torquay office on 01803 611420. Sue, Rob and Sara all wish our clients a Very Happy Christmas!